Wabba INDIA has no official status yet and currently it is not an organization recognised by the Indian Government. 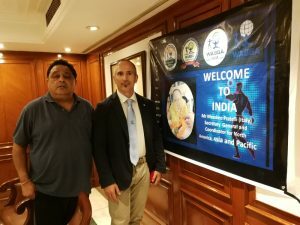 The role of President of WABBA INDIA is confirmed to Mr Bhupender Dhawan by WABBA INTERNATIONAL General Secretary Mr Massimo Pratelli. 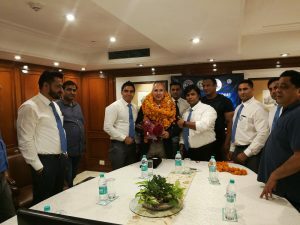 To better manage the organization, it is decided that Mr Bhupender Dhawan will be helped by a committee of 4 people elected by the committee and every year there will be the possibility to change the members of the committee, to give everyone the possibility to give their contribution. The status of the advancements in the preparation for the competition is not known by the members of the committee and the same is true for the prize money. 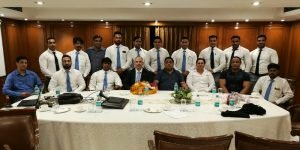 All the matters discussed and the decisions taken, Mr Bhupender Dhawan – President of Wabba India – declares the meeting finished and thanks all participants for their work and support.